Look out! 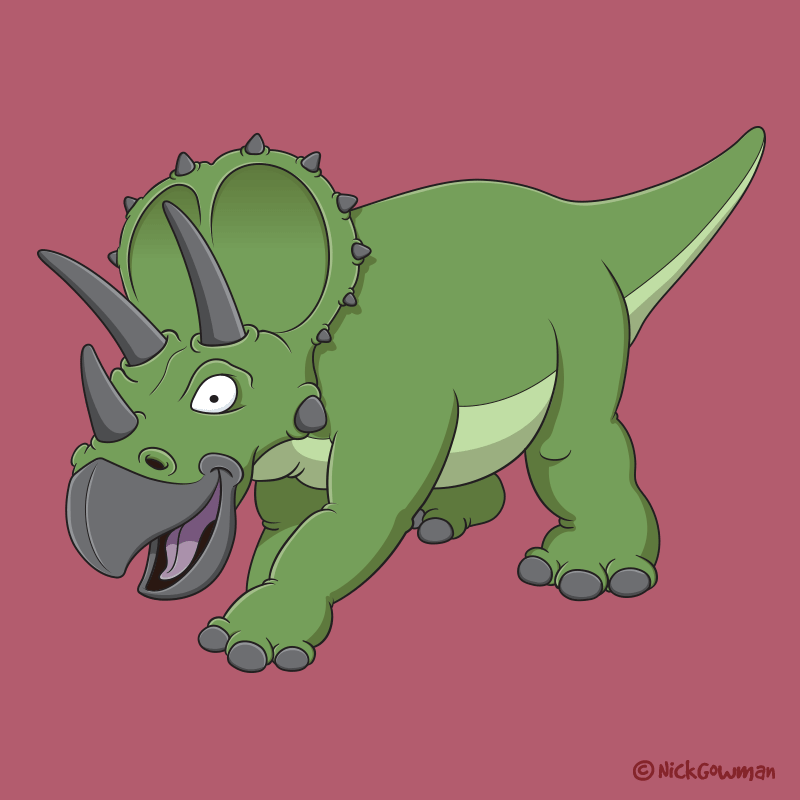 This Triceratops cartoon has charged into my portfolio and he’s ready to play! With is three great horns and strong, stocky build, it’s no wonder that Triceratops is a firm favourite. Triceratops means ‘three-horned face’ and was a 6-ton herbivore from the late Cretaceous period. The horns would have been used to defend itself against hungry Tyrannosaurs! He would have used that large beak of his to chomp his way through tough cycads and tree trunks. Created firstly in pencils and then fully digitised to give a crisp and vivid appearance, with a rich shade of green to really make him pop! I especially love his cheery expression and playful gate as he charges through some late Cretaceous undergrowth! The perfect companion to my cartoon stegosaurus. Be sure to check out my other cartoon dinosaurs, and if you see any you like, get in touch!